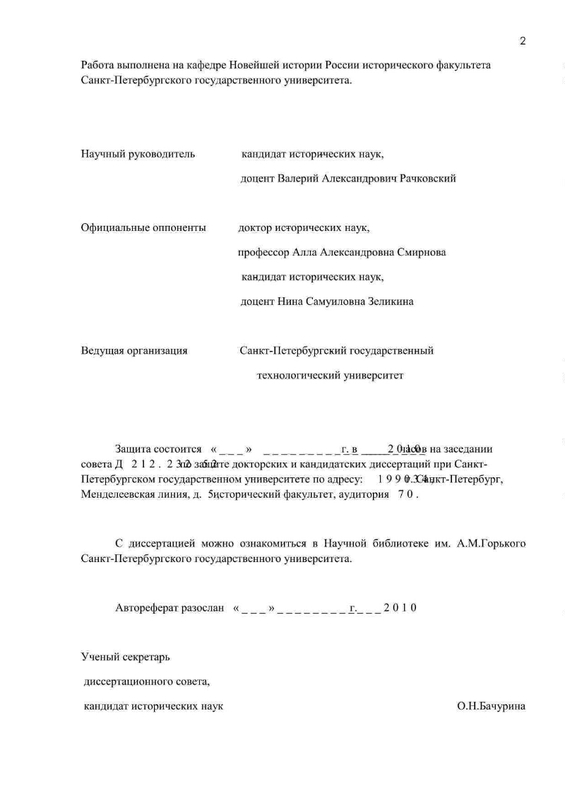 Participation of socialist parties in elections to the All-Russian Constituent Assembly: thesis abstract for the degree of candidate of historical sciences: specialty 07.00.02 "Patriotic History" / Anton Mokeev; S.-Petersburg. state. un-t. - St. Petersburg, 2010. - 21 p. ; 21. - Bibliography: p. 20-21 (3 titles) and in the footnote. note. - 100 copies. .
1. 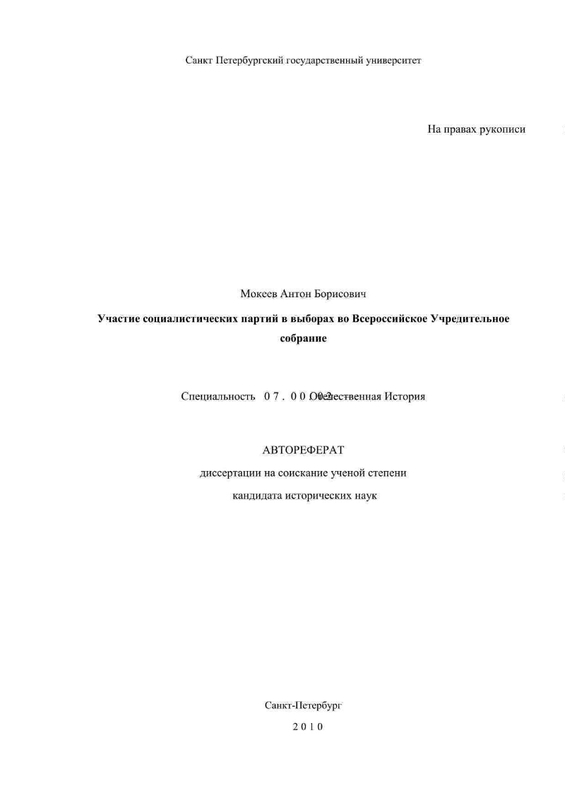 All-Russian constituent assembly - Elections - Abstracts of dissertations. 2. The people (the collection). 3. 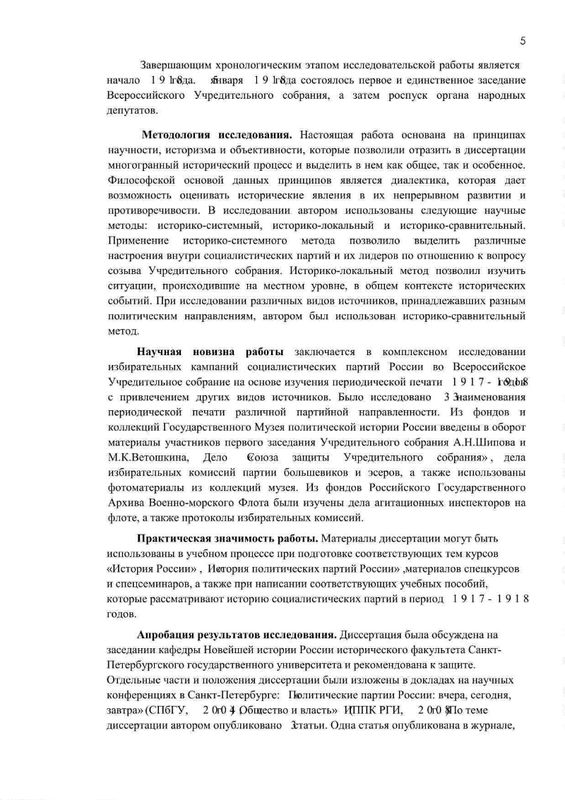 Socialist parties - History - Russia - 1917 - 1918 - Abstracts of dissertations. 4. 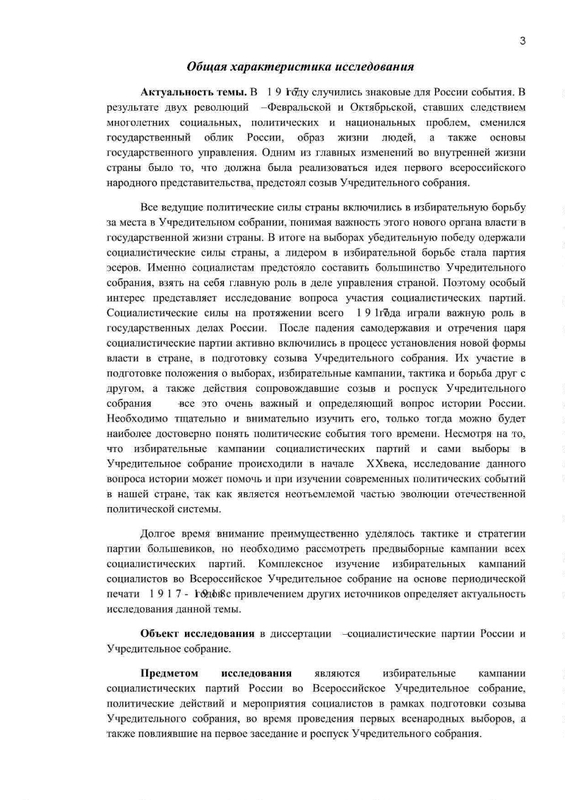 Russia - Politics and Management - 1917 - 1922 - Abstracts of dissertations.